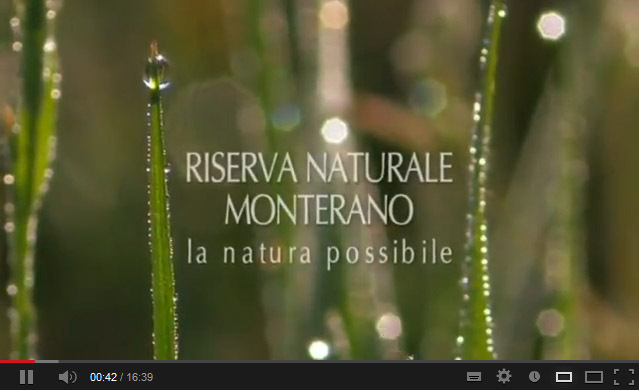 Riserva Naturale Monterano » Why? Home » Fruizione Turistica » Altre lingue » English » Why? Man is capable of sustainable development (in other words, development which satisfies the needs of the present without compromising the ability of future generations to meet their own needs). 3) commitment to long-term use of species and ecosystems. 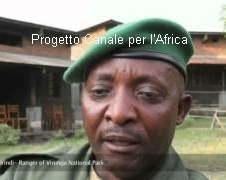 - guaranteeing that protected areas are joined by corridors through which species can spread. 1) the first considers the variety of animal and plant species present in the habitat and their distribution in the habitat itself. It is not, in fact, enough to know how many species there are in a habitat, you also need to know how they are quantitatively distributed. For example, two ecosystems each with ten species and a hundred individuals may in fact be completely different. In one, there may be one single dominant species with 91 individuals (the other nine with one individual each), while in the other the ten species present could be represented by ten individuals each, creating a completely different ecological situation. Species diversity is therefore an indicator of a balanced ecosystem and when it drops, it may lead to serious ecological unbalance. A high degree of diversity in fact enables the environment to respond effectively to possible ecological alterations (for example, climate change). 2) genetic diversity, on the other hand, describes the variability existing within the genetic inheritance of a single species. The greater the variability, the greater the probability that a species can adapt (development of new forms and varieties) and therefore survive changes in the environment in which it lives (from A. Di Giulio - V. Rossetti, 1991). Recent dramatic developments in the "environmental issue" are highlighted by the advance of desertification and deforestation, serious food crises, an increase in "environmental refugees", climate change, the dizzying pace at which animal and plant species are becoming extinct, the constant erosion of genetic diversity and the scarcity of water. "Impoverishment of the world’s biological diversity continues… there is an urgent need for decisive action to maintain genes, species and ecosystems… because conservation and the sustainable use of biodiversity are of crucial importance to satisfy the demand for food and other needs of the world’s population". Nature conservation is still quite a new issue in Italian legislation, in comparison with other countries such as Great Britain and the USA. The first national parks date back to the 1920s and 1930s and the system of State nature reserves began to take shape in the 1970s, but it was not until 1977 and adoption of Presidential Decree no. 616 establishing the responsibilities of the Regions that the legislative foundations were laid for the creation of regional protected areas. b) application of appropriate environmental management and restoration methods to achieve integration between man and the natural environment, including through the safeguarding of anthropological, archaeological, historical and architectural values and traditional agricultural, forestry and rural activities. d) protection and restoration of hydraulic and hydrogeological equilibriums. In Lazio, the first legislation on protected areas came with Regional law no. 46/77, framework law on regional protected areas. This was followed by other laws setting up individual parks or nature reserves on the basis of scientific studies (universities, CNR (Italian National Research Council), environmental and sector associations, etc) demonstrating the need to conserve and rationally valorise parts of the region of particular scientific and cultural interest. The Monterano Regional Nature Reserve was set up by Law no. 79 of 2 December 1988, with Canale Monterano Local Authority as the managing body. The aims and management priorities for protected areas in Lazio are established each year by a special Regional Council resolution. The Nature Reserve currently covers 10.85 km², following enlargement by Regional Law no. 62/93 to include the entire part of the Mignone valley with two fundamentally important sites, the quarries of the "Mercareccia" and the "Greppa delle Scalette". This is how a "nature reserve" is defined by art. 5 of Regional law no. 29/97: "A nature reserve is an area of land, river or lake containing one or more plant or animal species of natural importance, or with one or more ecosystems of importance for biological diversity or the conservation of genetic resources". As well as guaranteeing the quality of life, the existence of protected areas or Sites of Community Importance also has the advantage of making the authorities running them and communities living there eligible for Community finance. The local authority districts in which the protected areas wholly or partly fall can benefit from priority funding directly from the EU or via regional and state contributions. Private citizens enjoy similar priority in the awarding of regional contributions and the Monterano Reserve has issued numerous certificates to local businesses enabling them to apply for the special facilities (always with positive results). The protection and valorisation of cultural resources is particularly important, given the historical and archaeological value of the "stratified" old village of Monterano and the Etruscan burial grounds which give the area added value in terms of the study, knowledge and promotion of this important part of southern Tuscia. Regional and above all EU funds were used to restore numerous parts of the old village of Monterano and make them safe for educational and recreational purposes. Funding was also obtained for the Fontana Visitor Centre, lecture theatre, an equestrian centre for the activities of the association of butteri (Maremma "cowboys") and organisations specialising in riding therapy and for the road network. The advantages are thus both "direct" with an effect on the local economy in terms of employment, businesses and young people undergoing training programmes, and also indirect. The Nature Reserve stimulates new flows of tourists and contributes, as far as it is able, to the social and cultural promotion of the local community, with particular reference to young citizens, schoolchildren, the real custodians of the future of this protected area (…and the Planet…).